Molly came down to visit (two days late because of the Connecticut Blizzard) and we were having a great time touristing when a horrible attack of sciatica literally turned John from walking into crawling right on Duval Street. But a trip to the emergency room for a cocktail of muscle relaxants and pain killlers and a visit to a clinical massage guy fixed him up. He was able to go home with Molly for a week in Connecticut to unpack and see friends, so Sparta and I are on our own. — It’s a beautiful tropical island with Publix, West Marine and Home Depot, which to the cruising sailor means a lot. — I’ve never had a bad meal here. The fresh seafood and Cuban influence lead even the tourist traps to a new standard. — Duval Street. 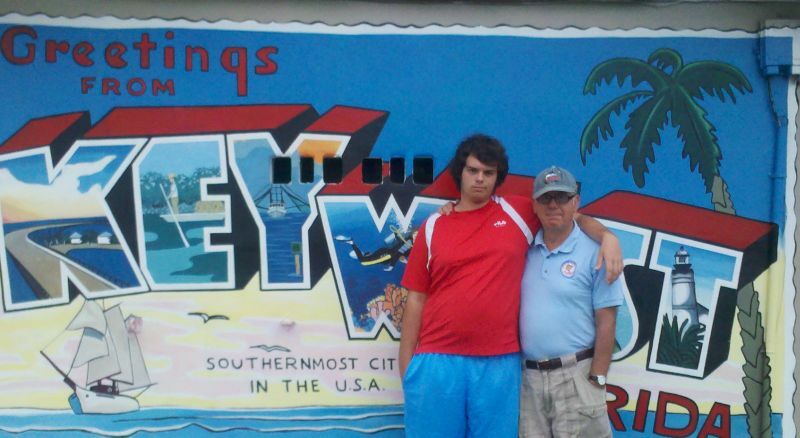 It’s a strange mix of Bourbon Street honky tonk and perfectly preserved Key West/Bahamanian architecture. 14 blocks of tee shirt stores, Coach-type stores, pizza joints and gourmet, country western and Cole Porter. 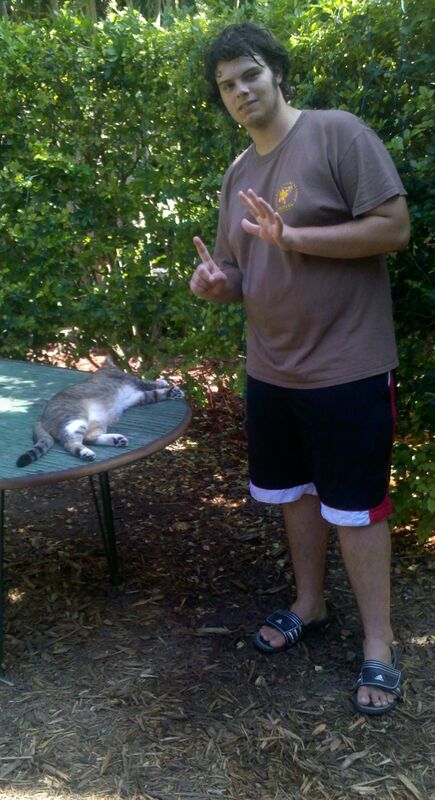 Before John’s attack we did the Hemingway House tour (a must), Southernmost Point and Duval Street. Our home base changed from the boat to the DoubleTree Resort, a great find — very nice hotel away from the noise of downtown and quite reasonably priced. Best of all, it’s never cold here. The lowest temperature recorded is 41. A huge cold front ripped through Friday and is freezing the oranges up on the mainland, but we’re still in the low 60s. 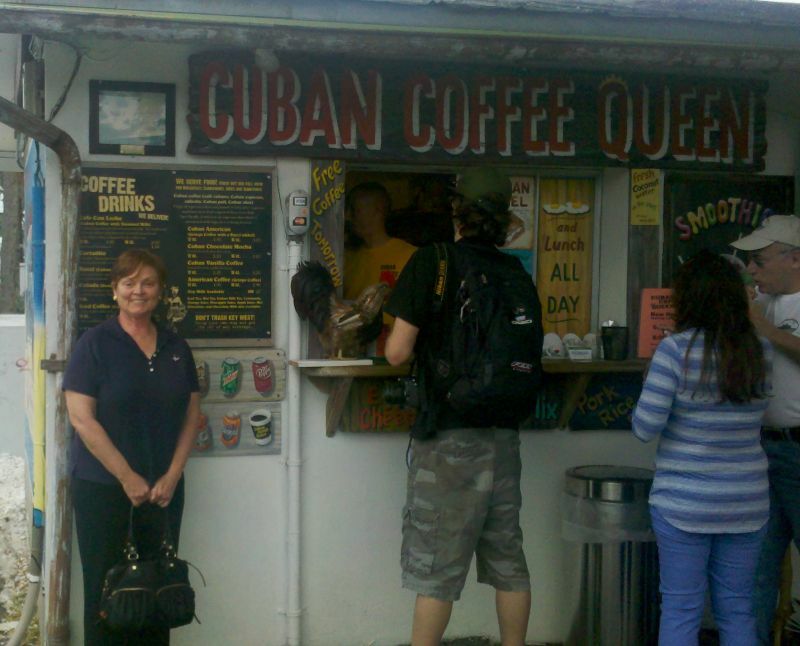 Molly the Cuban Coffee Queen. I actually like it better than Greek — the same rocket boost, but you don’t end up with all that sludge in the bottom of your cup. 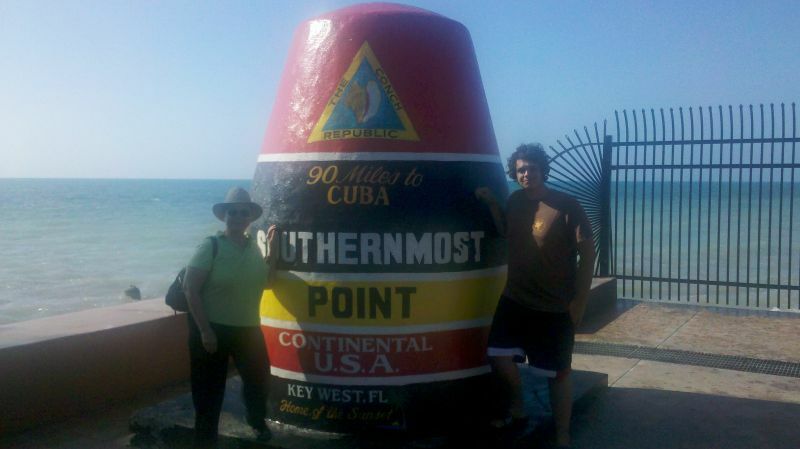 John and I always point out that we’ve been South of the Southernmost Point, since we sailed right by it coming into Key West Harbor. 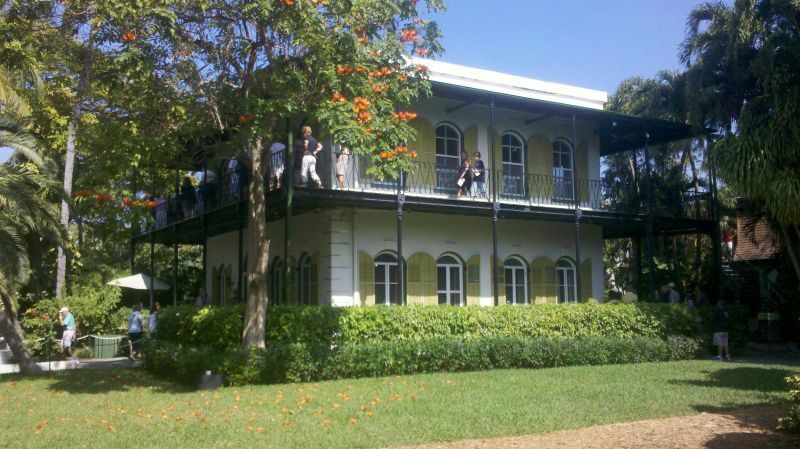 Hemingway’s beautifully preserved home. He lived there from 1931 to 1940. 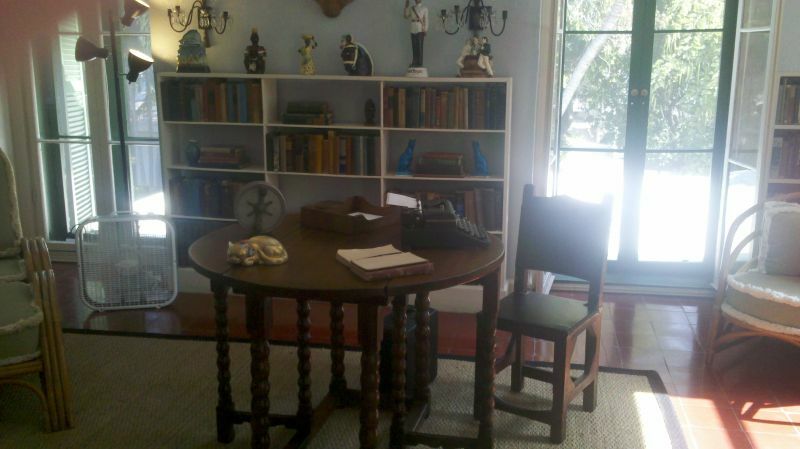 Hemingway’s writing room, where he wrote A Farewell to Arms, Snows of Kilamanjaro and all the Nick Adams stories. 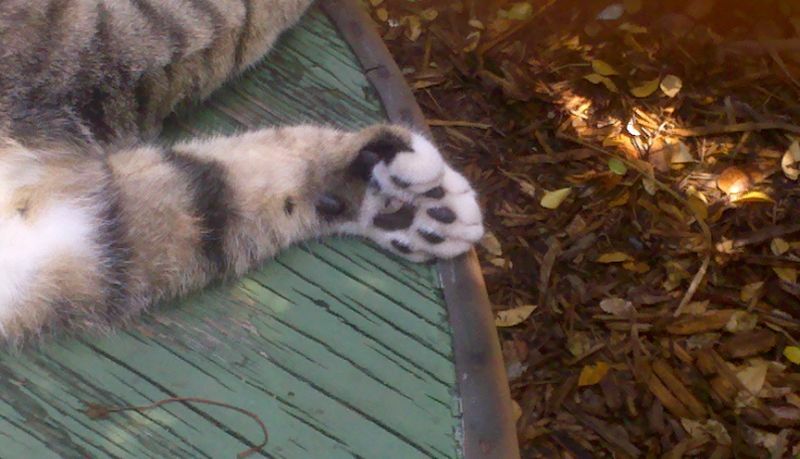 Sparta’s Hemingway cousin. 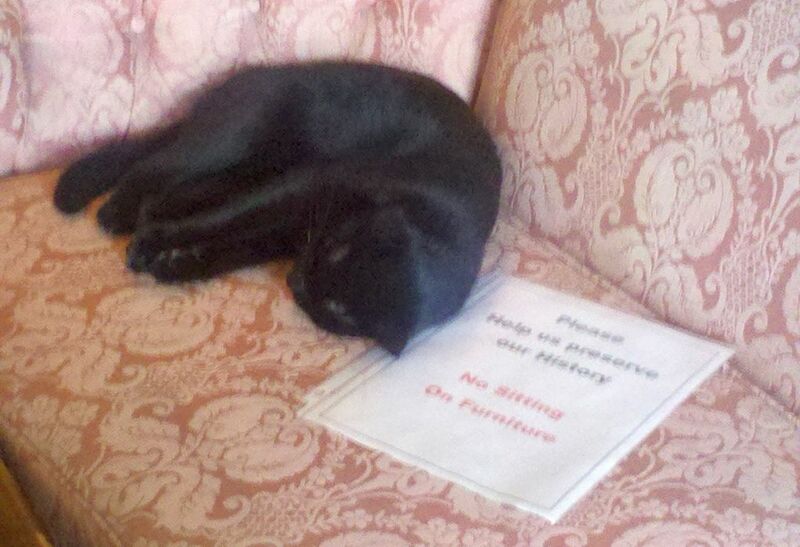 No sitting rule only applies to humans. 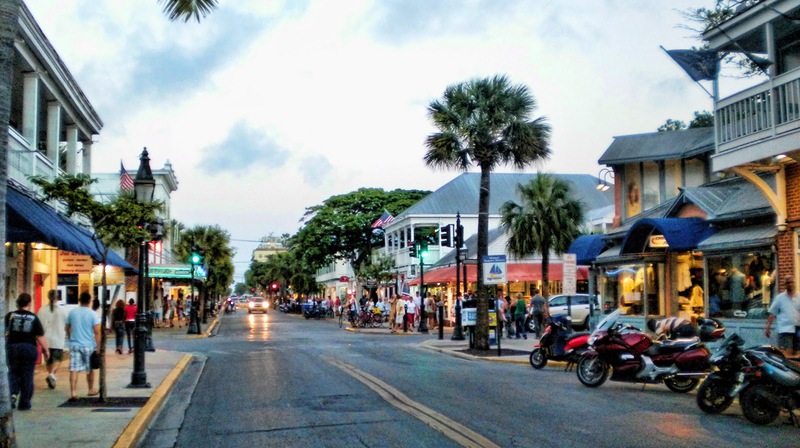 Duval Street. If you do the Duval Crawl and have a beer at each bar on the strip, you will have had 66 beers. Yes, it’s been done many times. The Hardware Store across the street from West Marine is pretty good too 😉 Love following you and hope John is feeling better soon.